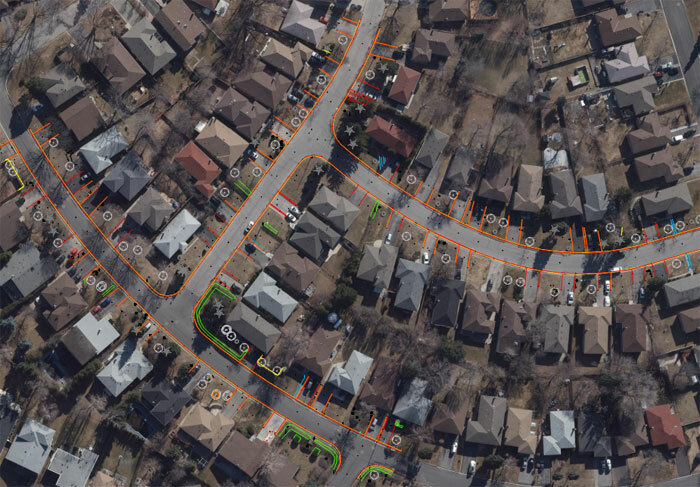 Do newly installed utilities need to be placed according to property lines? 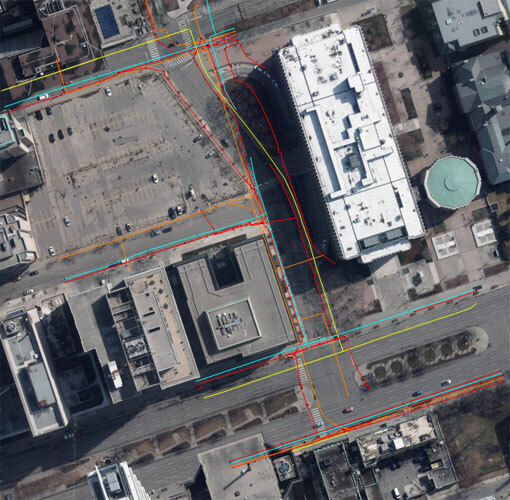 Does it matter if a new utility conduit crosses over multiple private properties? Does the sewer line need to be installed on public lands? Is monument protection a requirement of the project? In Ontario, only a licensed Ontario Land Surveyor can set and reset boundary monuments. Are multiple companies getting together to complete excavations and utility installations for a project? If so, it may be necessary to coordinate and compile a database of utility information for each of them to ensure safety is protected. 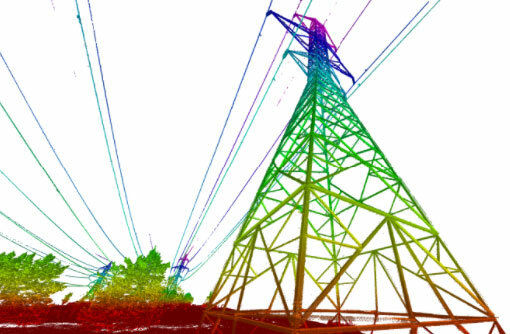 Are multiple firms sharing utility data for a particular project, if so, are they all using the same coordinate system? Are survey measurements being taken to create utility databases? Who QC’s the data and assumes responsibility for inaccurate or unreliable data? There are significant financial impacts associated with construction activities wiping out survey fabric and not restoring it, our experience is that these requirements are typically ignored by contractors, in turn placing the burden of survey fabric restoration on the taxpayers.